Commercials that try to reach that very particular human emotion of "inspired and hopeful" are everywhere now. They’re kind of a bellwether, an indicator of unrest within a marketing department. When nobody can agree on insightful, distinctive communications, the compromise is often an anthem ad. For example, I saw a Subway ad on TV the other night. A voiceover actress said: "The search for ‘better’ is one of our greatest strengths as humans. It’s a new commitment. A bold move. Even a fresh start. This appetite for ‘better’ is everywhere: in people, communities—and also at Subway. Every day we’re finding new ways to serve fresh, locally sourced produced, and food free of artificial preservatives whenever possible. Because the best way to stay fresh, is to never get stale." Simple rock music swelled, and Americans were shown lifting weights, farming organically and adopting dogs from the shelter. Argh. Another inspirational harangue. Swap out the name and it could have been for any restaurant. Reminds me of a Jimmy John’s TV commercial awhile ago that said, "Thank you, America," and, as is typical in this style of advertising, very respectfully described the importance of chasing dreams and humbly pointed out that the brand’s role was to allow people to go about the chase freakily fast. Technically, that last bit made it an extension of their existing campaign. Tonally, however, the ad was 180 degrees away from the brand we customers thought we knew. 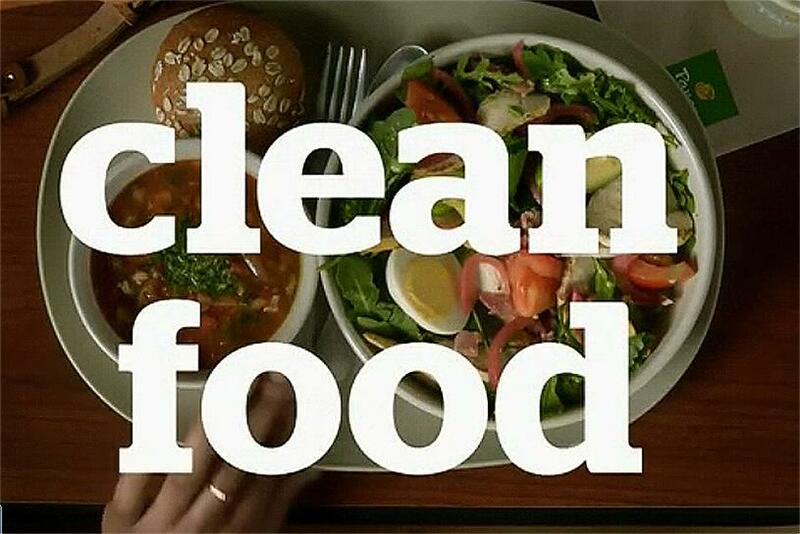 Panera is knee-deep in such a campaign, with its "Clean Food" campaign. The chain is trying hard to reach our deepest concerns, but the tone is sanctimonious and almost scolding. And that’s the trouble. These anthem ads all come off as pretty self-satisfied. Speak authentically. What kind of people run this restaurant? What makes them different? An anthem ad doesn’t tell you. That smug voiceover and hand-held camerawork of "real people" blend with surrounding commercials. But not Taco Bell—they adopted an identifiable, youthful attitude. Everything from social media to product innovation has an irreverent energy, and sales are consistently up. Or look at the grownup tone of Chipotle, discussing issues of sustainability and health, similar to Panera, but bringing viewers into the discussion rather than lecturing them. The company’s widely shared animated pieces about factory farms have defined the company as a leader and helped its brand withstand alarming health scares. Figure out why people like them. All anthem-like restaurant communications promise the same thing: authenticity and—humbly—the food you need to achieve your dreams. But communications that don’t differentiate the brand evaporate with the beautifully photographed sunrise, leaving nothing. Yet look how effectively Arby’s defines itself, moving from "just another" fast food joint along the highway to the witty, believable champion (and biggest fan) of superior meats. Its tagline, "We Have The Meats," is indicative of the ethos of superiority. Personally, I love the spot "Resume." Very likable. Sales are way up. Or consider Domino’s Pizza, once considered a dinosaur delivering cardboard pizza. The company confronted this publicly, reflected on why people originally liked it and created a persona that is charmingly self-deprecating, frank and plucky. And now, "Zero Click Ordering" is making the chain a front-runner in innovation in the pizza delivery business. Now Domino’s is relevant (and successful) again. Stubbornly wait for an uncomfortable idea. It’s hard to look at the brand from the customer’s perspective, as Domino’s execs can surely confirm. But it’s vital. Marketers might want the general public to see their devotion as a noble mission, but folks get what they’re doing. They’re doing marketing. It really doesn’t concern or involve them. And they shrug. Still, they pay attention when offered genuine entertainment. For years, Sonic hired improvisational comics to riff on food in the front seats of cars, where Sonic’s customers typically eat. The simple campaign was so popular; there was an outcry when the restaurant switched to different ads. Sonic returned to the improv guys. Personally, I worked on a casual dining restaurant campaign where the approval process frequently made our clients uncomfortable. But each entertaining idea we presented grew from the actual experience of eating there, and sales consistently increased for almost two decades. We produced not a single anthem ad. Anthem ads mostly just touch the hearts of loyal employees. They might increase morale, but they blend in with all the other anthemic proclamations. Great restaurant campaigns stand out. And because they stand out, they’re effective. (Sun rises, music swells.) And in the end—that’s what matters. Toyota captures millennial attention with "You Don't Own Me"